In December of 1945, endowed with a spiritual vision to start a work for the Lord and submit himself to do God’s will, Elder Theodore R. Harris pioneered a new ministry, rather a soul-saving station. 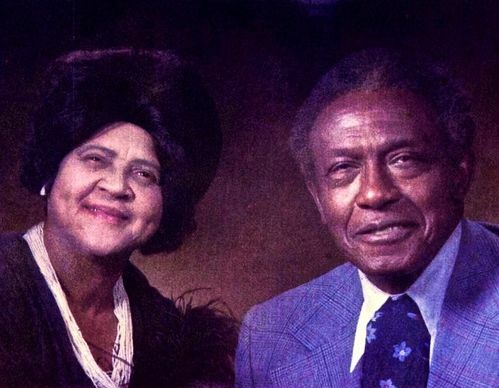 Elder Harris, along with his devoted wife, Erma, opened a small basement church called Elm Park COGIC on January 1, 1946. Following a three day consecration, where the sick were healed and many souls were saved, God set His approval on the ministry and added to the church “such as should be saved” (Acts 2:47)! Elder Harris soon had a strong desire to build a new sanctuary on top of his humble basement church. The Lord favored him and sent a young up and coming contractor by the name of Clifton Black to the church. 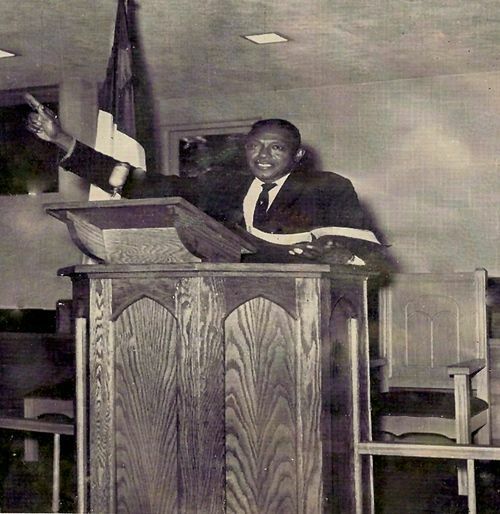 In 1957, after hearing the word of God and receiving the baptism of the Holy Ghost, Clifton Black became a member of the Elm Park Church of God in Christ. Pastor Harris and Bro. Black met with a local architect and drew up plans for a new building. In 1959, the new church, renamed Harris Temple Church Of God In Christ, was completed and valued at more than $35,000. Elder Walter E. Bogan, Sr. was installed as pastor of the New Harris Temple Church of God in Christ following the death of his grandfather, Supt. T.R. Harris. As if the mantle previously occupied by his grandfather had now fallen onto him, Pastor Bogan immediately began to expand the ministry. Souls were saved and the membership continued to grow. During the latter part of the 1980’s, Pastor Bogan cast his vision for an ambition building project. Although the city of Flint was experiencing a great economic recession, Pastor Bogan understood that with God all things are possible (Matthew 19:26). In addition to the various fundraisers and pledge drives, Pastor Bogan understood that confession would be important to this success of this project. 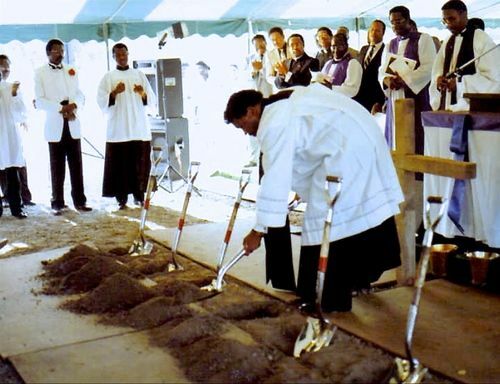 Therefore, he introduced a plan that whenever he said, “We’re going to build the Lord a church” the congregation would respond, “Sure you’re right!” Armed with their confession and hard work, in May of 1992 the new Church was completed. After the passing of the last Bishop C. L. Anderson Jr., the leadership of the Church Of God In Christ looked for a successor and found one in Supt. Walter Bogan Sr. 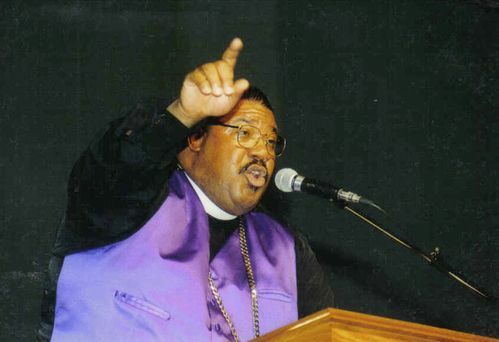 In August 2000, Bishop Walter E. Bogan Sr. was installed as Prelate of the Great Lakes First Ecclesiastical Jurisdiction of Michigan. 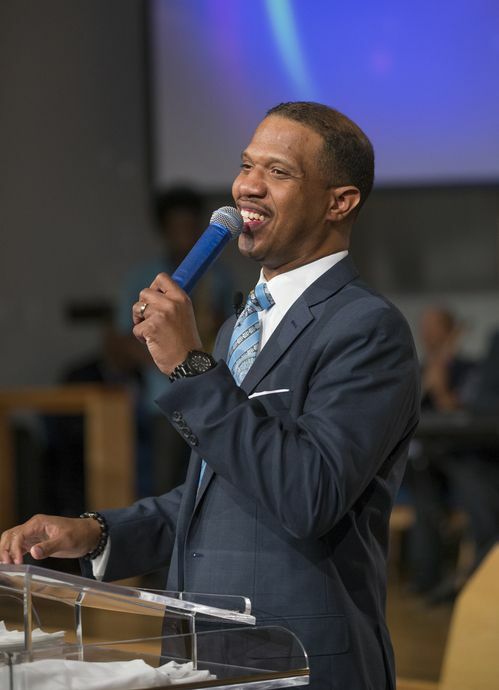 As a fourth generation preacher, Pastor Eric C. Bogan would continue the legacy left by his late father (Bishop Walter Bogan) and great-grandfather (Supt. T. R. Harris). 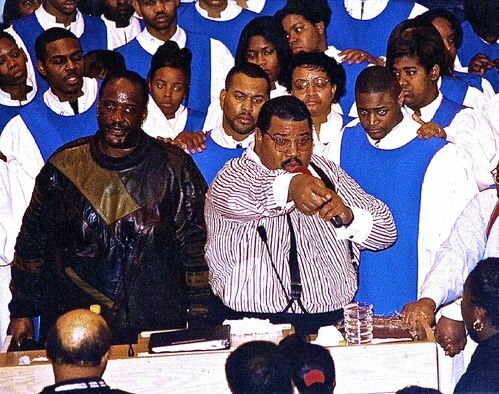 Pastor C, as he’s affectionately called, was installed as pastor of Harris Memorial Church of God in Christ on March 14, 2006 by the late Bishop Gilbert Earl Patterson, Presiding Bishop of the Church of God in Christ. 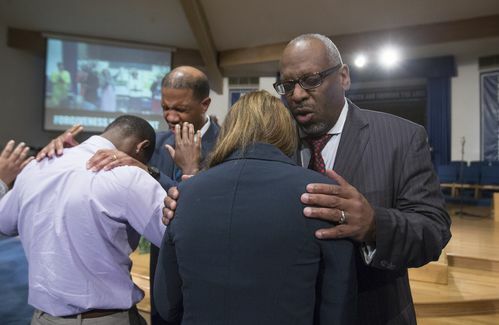 Pastor Bogan, along with his wife Karleen and the Harris Memorial Church, will continue to provide a place where people from all backgrounds can fellowship together. With more than 70 years of life changing ministry behind them, the members of Harris Memorial are marching forward knowing that God is truly on their side! Or every Wednesday evening at 7pm.